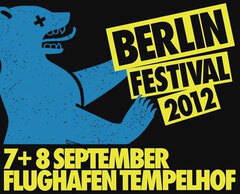 For its eighth edition from 7th to 8th September 2012, Berlin Festival have announced another top-class line-up including Sigur Rós, Franz Ferdinand, Orbital, Paul Kalkbrenner, Friendly Fires, Metronomy and Totally Enormous Extinct Dinosaurs. Once again, the Art Village will be home to national and international artists presenting their work, plus the world's biggest Silent Arena After Show Party will take over Tempelhof Airport this year. First up, and for their only scheduled performance in Germany this year, Icelandic band Sigur Rós will showcase new songs from their eighth studio album, set for release later this year. 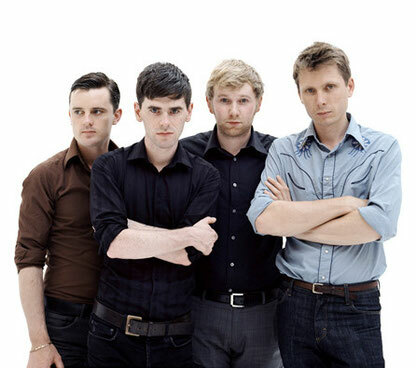 Also making an exclusive appearance at Berlin Festival is British act Franz Ferdinand, who first appeared on screen in the early-noughties with hits like ‘Take Me Out’ and ‘This Fire’. The band are back with their fourth studio album in 2012 and will be performing many of their new tracks at Berlin Festival. German favourite Paul Kalkbrenner is also set to get the crowd at Tempelhof Airport ready for take off. His shows are always an instant sell out and his 2011 album ‘Icke Wieder’ is a true chart-stormer. Another act ready to whip the ardent crowd into a dancing frenzy is Britain's legendary techno duo Orbital. Following their 2008 reunion, the in-demand duo have been touring and working on some brand new material which they are ready to unleash at Berlin Festival.